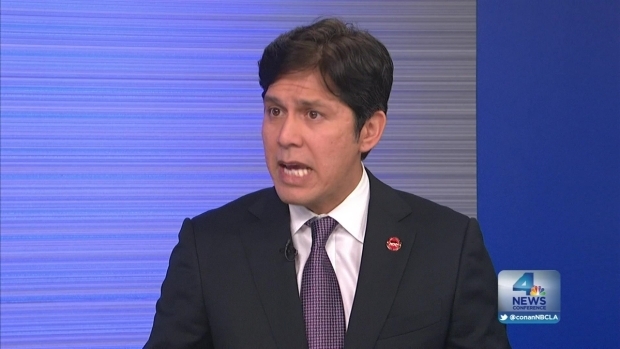 Kevin de Leon, the first Latino to lead the state Senate in more than a century, sat down with "News Conference" to discuss the response to his swearing-in and his legislative priorities. The new leader of the California Senate says he does not harbor regrets about his controversial swearing-in ceremony at the Walt Disney Concert Hall. “I was proud of the event and I would do it again,” said Kevin de Leon, Senate President Pro Tem. The Los Angeles Democrat broke with tradition and held his swearing-in ceremony at the Frank Gehry-designed Walt Disney Concert Hall in downtown Los Angeles on October 15. The event attracted public officials and business leaders, with tickets also distributed to community groups, activists and others. Kevin de Leon is now the President Pro Temp of the California Senate...making him one of the more powerful political figuers in the state. He tells NBC4's Conan Nolan his recent proposal to increase spending for UC and California State University systems. The event cost an estimated $50,000, and was paid for by corporate and union donations through the Legislative Hispanic Caucus. Many of the donors have matters sitting before the Legislature. While the October ceremony was criticized for being overly costly and elaborate, de Leon contends that most of the 2,000 attendees were from working class families. The unprecedented event, which included a Korean drum circle, mariachis and a color guard, received national attention -- most of it negative. De Leon, the first Latino to lead the state Senate in more than a century, said he was the victim of a double standard. 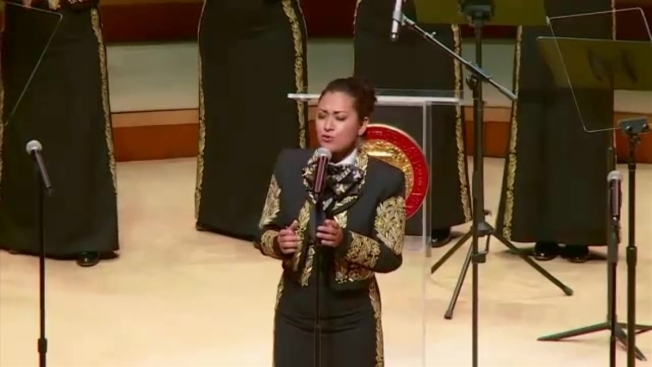 “A prominent elected official a few weeks ago had his event at the Walt Disney Concert Hall. (There was) not a peep,” he said in the interview. Last month, former LA County Supervisor Zev Yaroslavsky held his retirement gala at the venue. Yaroslavsky spent 39 years in LA city and county government and played a role in construction of the concert hall. On other matters, de Leon promoted his proposal to spend more state money on higher education in California without the 5 percent tuition hike approved recently by the University of California Board of Regents. The proposal would increase nonresident supplemental tuition by 17 percent and eliminate funding for the Middle Class Scholarship program in order to keep in-state tuition flat. He said he hopes to take on the issue of tax reform during the next legislative session and would oppose an anticipated 2016 ballot measure that would legalize marijuana for recreational use in California.